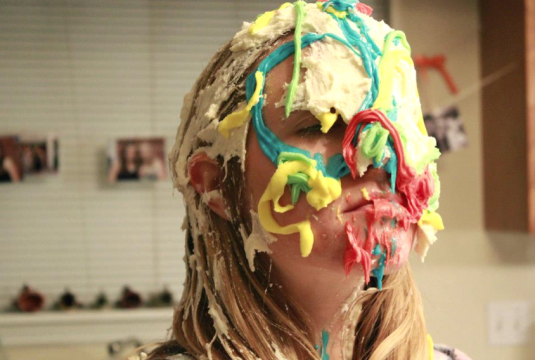 Auburn student Emily Quinn is… Cupcake Girl. Art has never tasted so good. Cupcake Girl hands out free cupcakes on the Haley concourse, and each time someone takes one, she smears icing across her face. Some stand back and watch hesitantly; some won’t even shoot her a glance. 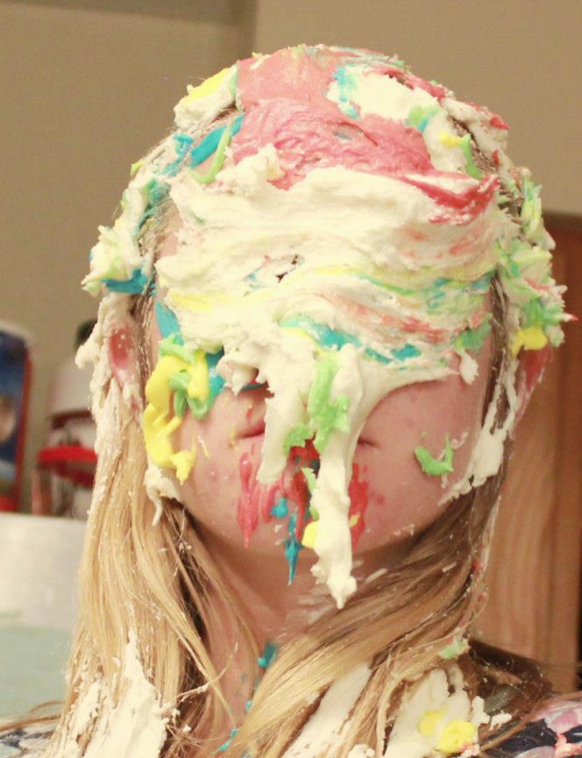 “I think my favorite reaction was from a guy standing back who said, ‘You really like frosting. I can tell,” said Emily Quinn, senior in fine art. Cupcake Girl began as Quinn’s social experiment project for her digital media art class, but soon developed into its own character. Quinn’s project expanded over the course of the semester, and every other week Quinn was on the concourse offering cupcakes, smearing icing and receiving a handful of reactions. Quinn shortly realized that Cupcake Girl was much more than just a documentary-ish experiment when she performed as Cupcake Girl in her kitchen. Once Cupcake Girl started to take on her own character, the idea of childhood versus adulthood became Cupcake Girl’s central theme. Quinn said she intentionally wanted to create this sort of confusion between Cupcake Girl and students on the concourse. Quinn said she wanted students to question why those ideas are distinct, and she used “humor and the grotesque” to keep students interested enough to talk to them about performance art. Although Quinn’s experiment just ended, she said Cupcake Girl might return sometime soon. Related: MIT elite can’t hack it in coding competition won by Auburn student programmers. I agree with everything cupcake girl has said here. Modern art is rarely this coherent.